A hydraulic slip ring or Hydraulic swivel is a high precision slip ring used in a self contained multimedia rotation assembly. The need for a hydraulic slip ring arises from a variety of industries. Hydraulic transmission helps in fluid rotary union combinations and pitch control in the hydraulic systems. Hydraulic transmission ensures pitch actuation and transmission of high magnitude current in direct drive systems that helps energize the rotor coils. A hydraulic slip ring is specifically crafted for the transport of air, vacuum, coolants, gas, steam and water. The specialty of a hydraulic swivel or a hydraulic rotatory joint is its ability to combine multiple wires ranging from a number to 1 to 128 and transfer a large amount of signals simultaneously. They are available in traditional carbon brush, gold fiber brush with contact area, no contact transmission, etc. Other variations and features include embedded sensors which provide for a feedback of blade conditions while helping in derotating of signals. 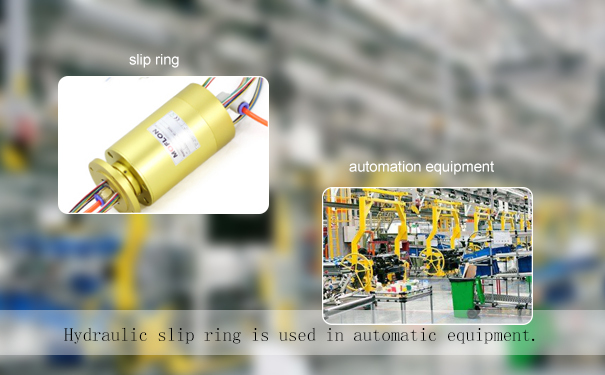 Hydraulic slip ring is also known as a pneumatic slip ring and has specialized functions which enhance the efficacy of machinery. It can be used for a variety of industrial processes and the different variants of the hydraulic slip ring can assist you in a variety of processes and functions and provide different solutions for different niches. hydraulic slip rings help with fluid rotary unions and also ensure reliable transfer of data, fluid as well as electricity. They are designed to withstand extreme temperatures and environmental conditions. The incorporation of an exclusive fiber brush technology eliminates the need for lubricants which causes the hydraulic slip rings to be low maintenance while ensuring superior performance and a guaranteed 100 million rotations. The production costs are significantly lowered on use of hydraulic slip ring as transmission occurs at high speed in conjunction with a conventional electric slip ring and lesser maintenance is required. Hydraulic slip rings can be used in combination with conventional slip rings as well as semi integrated and separate units as per the need of the machinery. This will also help you take care of considerations like heat loss and other industrial processes. In the integrated variety, the slip ring resides in the steel housing and has a steel plated sealing. It is highly compact with fewer components and a rugged structure for more efficacies. The semi integrated swivels are not entirely fitted into the slip ring assembly and the slip ring is located either on the top or the bottom of the hydraulic slip ring. It has a lower elevation with better access for maintenance. It is devoid of a mounting tube. 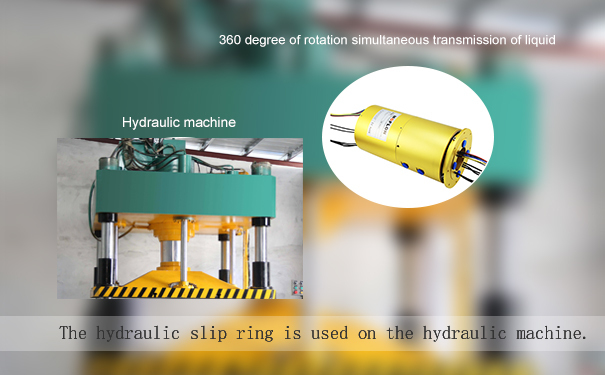 The separate hydraulic slip ring and conventional slip ring assembly consist of two individual units. They work separately and consist of a variable mounting tube. The major advantage of this unit is less heat dissipation between the hydraulic swivel and slip ring.